To choose the perfect nickel floor lamps for your home design it’s not easy. Today we will help you with that. Get a look at your home spaces and then see our great selection. You will find a special lamp for you here, for sure! 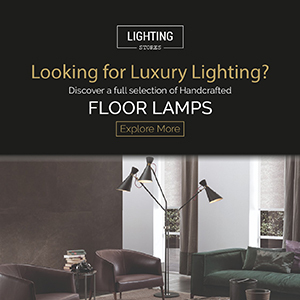 Be inspired by these Spring Trends for your contemporary lighting: nickel floor lamps. Cole Floor Standing: The tall Cole standing lamp is the ideal corner piece for a lobby or a living room. It has a balanced elegance and presence. Made with architectural environments in mind, it is a classic and versatile lighting piece. This piece is handmade in brass and its lampshades in aluminum. Scofield Floor Light: Sixties and seventies. This is a very technical and functional lamp. The diffusers rotate allowing different light focuses. Its structure is handmade in brass and the lampshades in aluminum. Another ar lamp gorgeous to lighten up this little and elegant side table. Arc lamps are trendy for this Spring. Diana Floor Lamp: Think big with Diana XL ﬂoor lamp: this contemporary fresh classic lamp turns any room into a giant colorful inviting space. Ideal for big lofts and artist studios, this creative ﬂoor lamp composed by a colorful lampshade in aluminum will give inspiration to any setting. Conceived in brass with the switch on the top, this huge Diana version is 2.3m tall. Can it be more unique than this?